After reading the first book in this series, I couldn't wait to get my hands on the second one. The Still of Night features Morgan Spencer - prodigal, genius, and troubled older brother in the Spencer clan. I got more than I expected. The story includes a disastrous past relationship and a teenager's fight against cancer. The author did her research, and the emotions and details of the battle were all too accurate. Since my husband fought the same cancer, it brought a flood of memories. The story highlighted the characters' choices and their far-reaching consequences. By the same token, it was a testament to the grace of God and how He turns what the enemy means for evil in our lives around for good. It's rare that I get a block of time to read. On the day I finished this book, I was able to read for 2 1/2 hours straight. If you want a story you can't put down, this one was riveting. I'm placing my order for the next book in the series. 5 Stars for The Still of Night by Kristen Heitzmann. Writers: Have you used detailed medical situations in any of your writing? Please share. 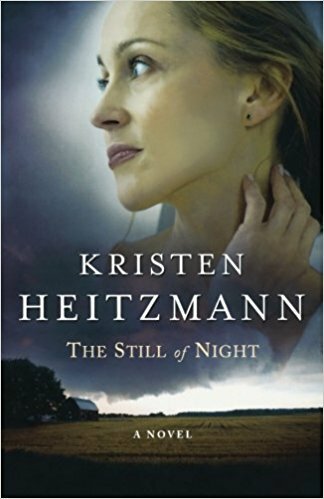 Book 3 of The Moses Trilogy, Out of The Mist, has a character with the same cancer as the one in Kristen's book. I didn't go into the kind of detail she did because it wasn't as critical to the story line. Readers: When reading a series, do you read each book as it's released or wait until you can blast through the whole series? Why?